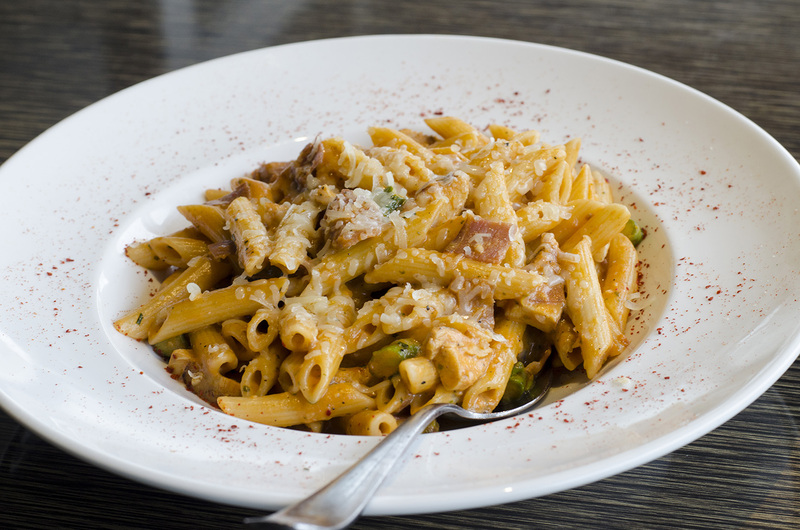 Penne con pollo from Mezzo Restaurant & Lounge. Mezzo Restaurant & Lounge is once again participating in Winter Bites Restaurant Week and are serving up yet more fantastic menus to try. With 3 different menus to choose from during the January 15-21, 2018 restaurant week, we thought these 3 dishes were ones you should try. A plate of pasta at Mezzo is always a good choice. When you’ve got an appetite, this pasta can surely be a dish that conquers it. 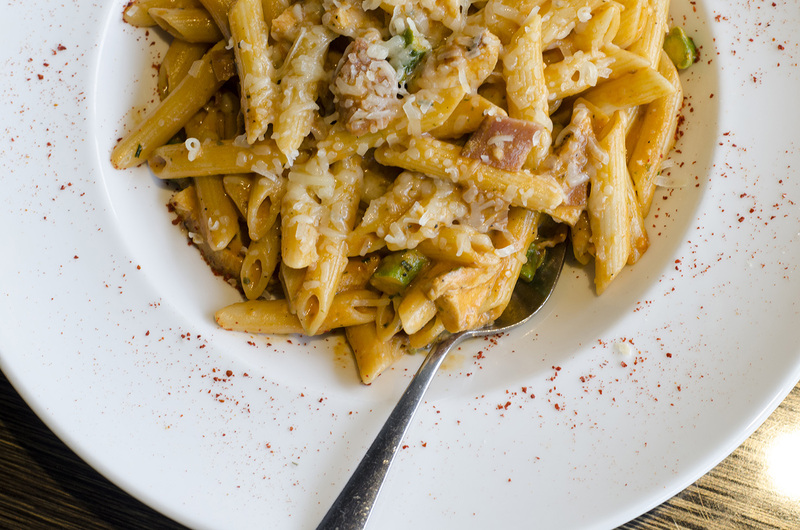 Penne noodles with chicken, prosciutto and asparagus in a blush sauce. Filling and delicious! Salmon on the Mezzo Restaurant & Lounge Winter Bites Restaurant Week menu. Looking for something a little lighter? 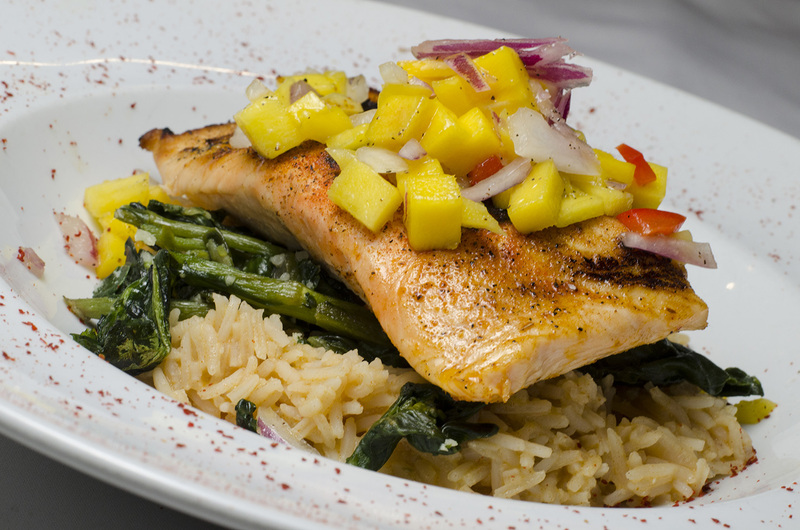 The cajun spiced salmon is grilled and topped with a mango chutney and served over top of basmati rice and rapini. Cozze. One of Mezzo Restaurant & Lounge’s specialties. One of the dishes that Mezzo is known for is their cozze. They’re P.E.I. 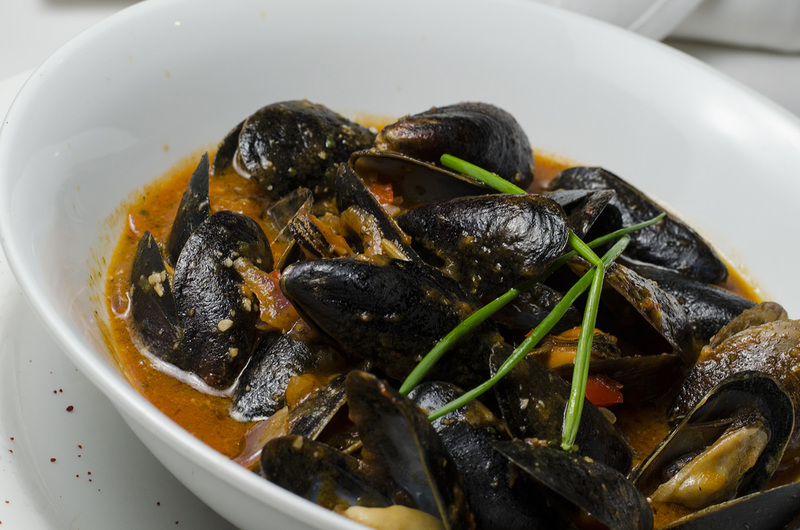 mussels steamed with an extra virgin olive oil, white wine, chili tomato sauce. The aroma alone will make you fall in love with these.